Writers and researchers should always strive to provide top-notch work each time. The number one rule/principle when it comes to content is the creation of high-quality, authentic, plagiarism-free and timely work. When you, as a writer, indulge yourself in academic writing, there are documents you are bound to work on at one time or the other. The most popular academic papers being dissertations, case studies, research paper, theses, business plans, projects, proposals, and many more. The following guide will give you clear, straightforward and concise tips to help you come up with a well-written case study. Let’s see what needs to be included and how to come up with a relevant and professional end product. 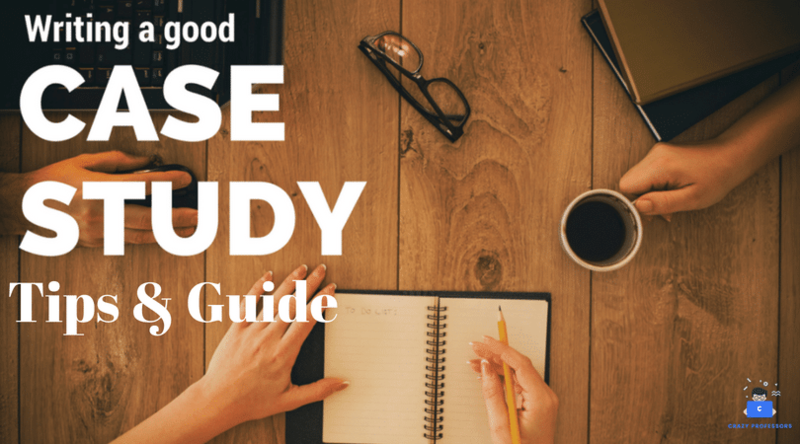 Case studies are usually written for both honor’s and Master’s Level students. There are stages and a format that helps to give you a smooth writing process. The following shows the 4-stage process you can use in coming up with a case study. But remember that the guidelines and requirements might vary from one document to the other. Think, Plan, Word Process, and Check. Moreover, the entire process, stages, possible solutions, points or tips are to be considered when writing a case study in a specific sector like health, education, cosmetics, human resources, and construction among others, and points to be covered with a table of notes and explanation of the references, conclusions, the role of appendices, and possible limitations. Consider the title and define the scope and purpose. You should decide upon the audience/readers, as well as why they need to know (Reason). It is better to give yourself a considerable amount of time during the thinking stage because it helps in better planning, ideas, theories, and wording. Use a specified font, but usually, most people request for Times New Roman or Calibri and double-spacing with a font size of between 11-14. The best way is to use your chosen topic as an outline to save time on recurring issues. A case study is a program, process, an event, a problem of a person(s) bounded by a system of both space and time with multiple sources of qualitative data that support a specific topic within a specified subject. The above article lets the researcher/writer focus on an issue and later elects a bound/closed case to illustrate that issue. A writer studies the issue without giving first focus on a topic because the case itself is of primary interest within the intended exploration. The above document lets the researcher/writer focus on an issue and later choose several bound cases to illustrate that issue. Apart from knowing the type of case study you want to venture in, you should be aware of the preferred and best methods to use. A plan should determine if the case will be able to answer a research question, or a writer would make assertions of case themes/data. Ensure that the case study shows how it will affect an organization or a person and identify at least two significant problems. Who Uses a Case Study? What solutions are supported or suggested by the research? What is the background of the case study? What research could further contribute to the understanding of the situation under investigation? Remember, an appendix is a compilation of illustrative and supplementary materials all in your report. An annotated bibliography is a list of sources written systematically. Tables, diagrams, graphs, and charts are useful to give a clutter-free main content, and they never add to the overall word count. Note that you label and number all the illustrations, as well as refer them correctly and accurately in your report.